Looking for a sample thank-you letter to your attorney for their hard work in resolving your legal issue? Lawyers are important advocates that help us through the most challenging moments of our lives. 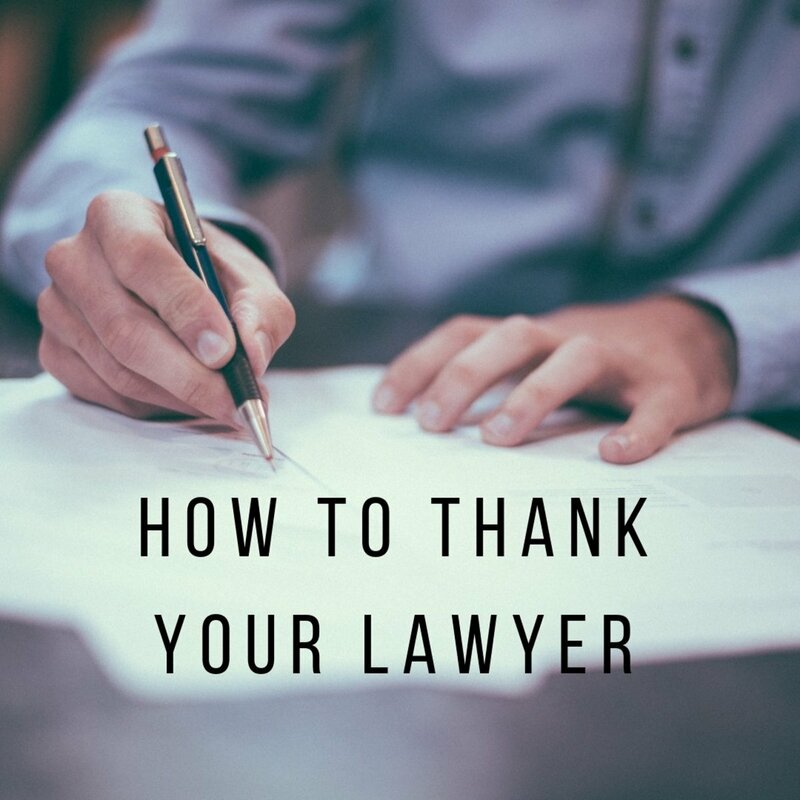 Sometimes it can be difficult to figure out what to say or write when you want to express how much you appreciate your legal counsel's efforts in handling your case. 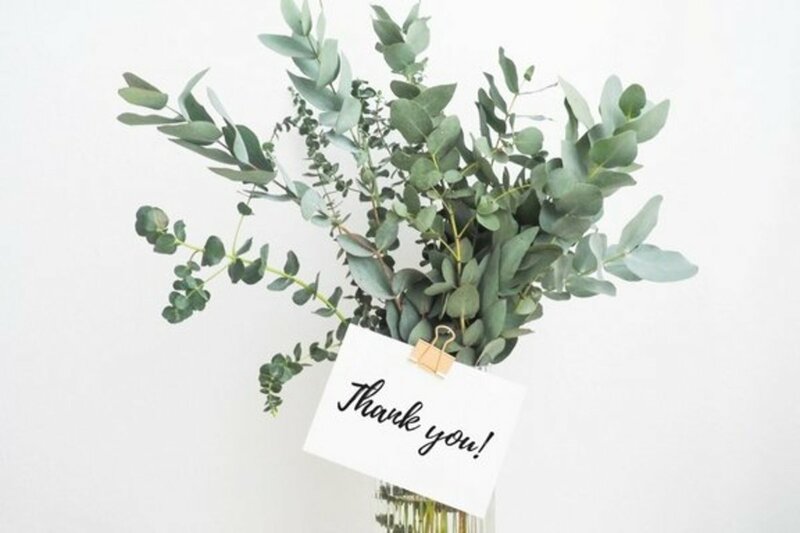 Here are some inspiring sample messages and thank-you letters that you can write to express gratitude to your lawyer for resolving your matter as quickly as possible and for achieving the desired outcome. What you are expressing gratitude for in a clear and brief manner. 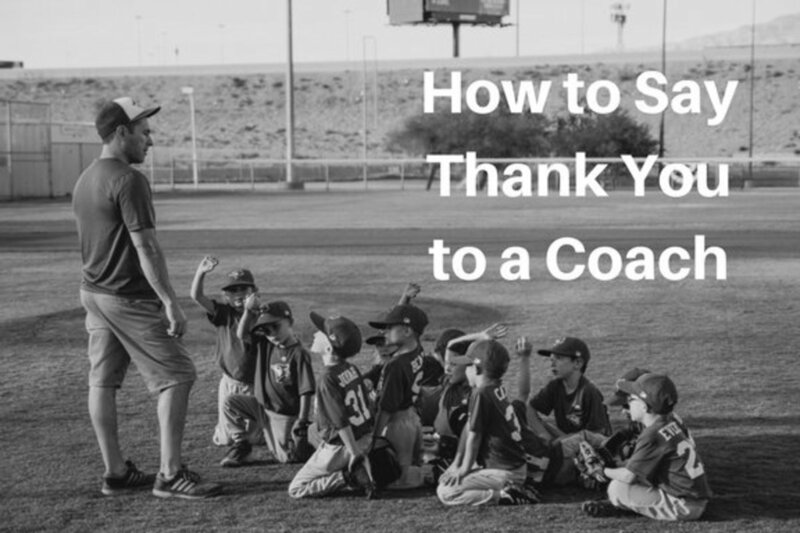 How much you appreciate their professional support and guidance, and how it has been helpful to you. I wanted to say thank you for helping to resolve my case quickly. I was completely dazzled by your communication skills and courage at the court hearing. I cannot thank you enough for the services that you have rendered on our behalf. The reading and handing over of the items listed in our father’s will was perfectly executed. Thanks again for your help. I am blown away by your integrity and all the hard work you did on my behalf. I will always be grateful for all of your efforts. You worked tirelessly to ensure the best possible outcome on my behalf, and I can't thank you enough. I wanted to thank you for the excellent work you did as my attorney. I know you have a lot of clients, so your prompt responses and attention to detail really meant a lot to me. Thank you for representing me in the lawsuit against [insert name]. My confiscated properties have been returned to me. I can now conduct my normal business again without any interference. Thanks for being by my side. Thank you for accepting the role of my lead counsel. Having an experienced attorney like you on our side was a good sign that we were walking into the courtroom to win the case. I'm grateful for your understanding and cooperation in this matter. I was overwhelmed when I heard the outcome of the court proceedings. Thank you for protecting my interest and family heritage. I am so thankful for your service and professionalism. I will never forget what you have done to make sure I was given a fair trial. You were able to prove the case beyond any reasonable doubt and we were more than pleased with the outcome. I feel so indebted to you for your hard work. Thank you for always informing me of the best option to take in resolving my problem. I couldn’t believe when the prosecutor agreed that the case should be settled out of court. I really appreciate your negotiating skills and advice on the matter. Thank you for taking the time to critically analyze the police report and crime scene, and for ensuring that I am completely exonerated from the criminal charges. You’re such a brilliant lawyer. I am so grateful for your passion, dedication, and professionalism. I've hired lawyers before, but you are truly the best I've ever worked with. Thank you so much! I can't tell you how much I appreciate the amazing legal work you did on my behalf. Thanks for prioritizing me as a client and doing everything in your power to help me win my case. I would like to thank you for your time and support during the visa application process, and for helping me to get the desired outcome. 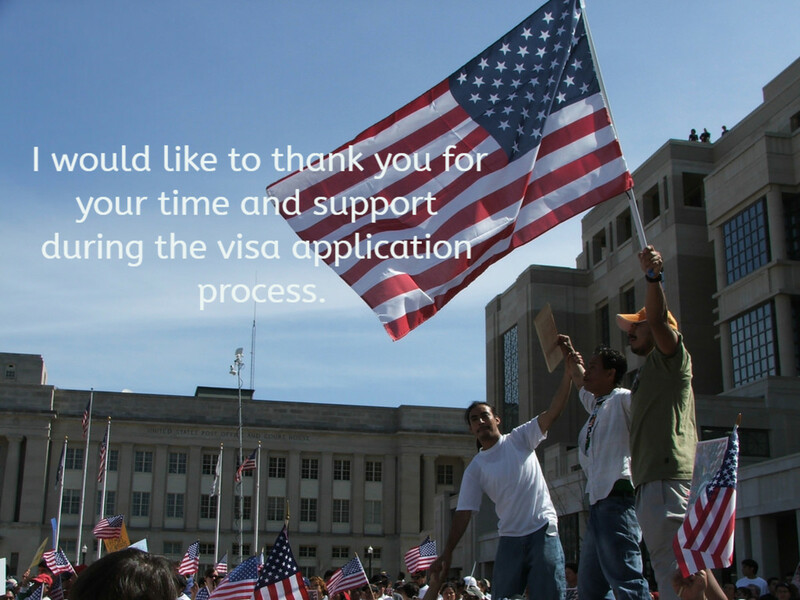 I am so thankful for your help, which made the issuance of my immigrant visa successful and easy. I just wanted you to know how grateful I am for your advice and guidance in this matter. I greatly appreciate the time and energy you spent helping me obtain a work visa. I am so appreciative of the work you did that benefited not only me but my family as well. You don't know how much your passion impacts the lives of others. Thank you for your time. I am very grateful for all the hard work you did on my immigration case. My family and I can't thank you enough for your dedication to immigration law. Thank you so much for representing me in my case, and for preventing me from being deported. I would like to express my profound appreciation for representing me and spending a great amount of time and effort on my deportation issues. Thanks once again for your expertise in resolving my case. Thank you for helping me get through my divorce as a foreign citizen—your wide range of expertise was indispensable during this difficult time. I can’t thank you enough. Your help made a big difference in my life. You were able to get the desired result within a short period of filing my green card application. I really appreciate your efforts. Thank you! Thank you for your assistance and prompt responses. You really went the extra mile and did more than enough to help me secure a working permit and an immigrant visa. My family and I will be eternally grateful to you for the opportunities you have allowed us to pursue by your assistance in the immigration process. All of your hard work is invaluable to us. Divorce is such a stressful time in anyone's life. I can't even begin to quantify the ways in which your legal aid has made my life easier. Thank you so much for your efforts. I am grateful to have you in my corner while battling my soon-to-be ex in court. You don't know how much of a comfort you have been to me in these trying times. I am always pleased when you are representing me in any legal matter. I know I have the right advocate who has a great understanding of what transpired between me and my spouse. Thank you for your attention to this matter, and I wish you continued success in your profession. Thank you so much for being my advocate through this difficult custody dispute. I am so grateful that you were able to help me get full custody of my children. I wanted to thank you for your support and help in this matter. I had a wonderful experience with you and your staff during this difficult time. Your assistance with my divorce is greatly appreciated. I can’t thank you enough for all your help with my spousal support motion. 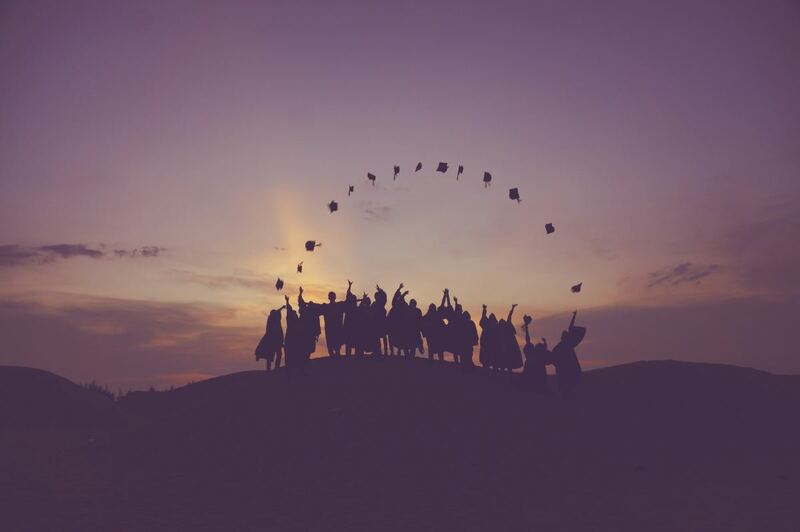 I would not be able to provide the best for my children without your brilliant guidance. Thanks for your prompt responses and for solving my problems without allowing me to go through any stress whatsoever. I greatly appreciate your help with my case. I cannot thank you enough for your service, and for making my case very easy to get across successfully before the judge. Great thanks to you and your team in this matter. You and your staff have been indispensable during this difficult time. I greatly appreciate your guidance throughout my divorce proceedings. Thank you for providing a passionate voice on my behalf during my custody trial. You have worked so hard, and I am ecstatic to finally have the best possible custody arrangement for my children. I would like to thank you for your support, and for guiding me through the legal process. Thanks once again for having a genuine interest in my divorce. You are the best lawyer I have ever hired. I wanted to write to let you know how much your help in quickly resolving my case meant to me. I am so grateful to have you by my side. 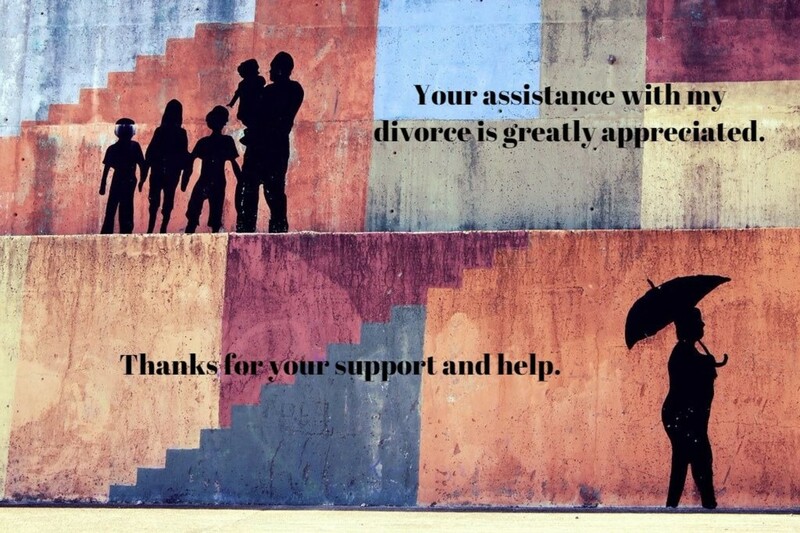 Divorce is never easy, but with your help, I was able to get through it. Through your hard work and dedication, we were able to reach the best possible custody arrangement for our family. You were fair, communicated well, and were able to negotiate a fair property division so that my family and I can continue to live comfortably with little interruption to our day-to-day lives. I cannot thank you enough for your assistance, time, and effort. I wish you continued success in your practice. I would not hesitate to recommend you to any friends or family members looking for an experienced divorce attorney. What is the best way to express gratitude to someone who helped you? Thank you for your hard work, help, and support in the sale of my house. Because of your expertise, we had a hitch-free transaction. I really appreciate all your time and effort. Thank you so much for your deft assistance with the drafting of our purchase agreement. 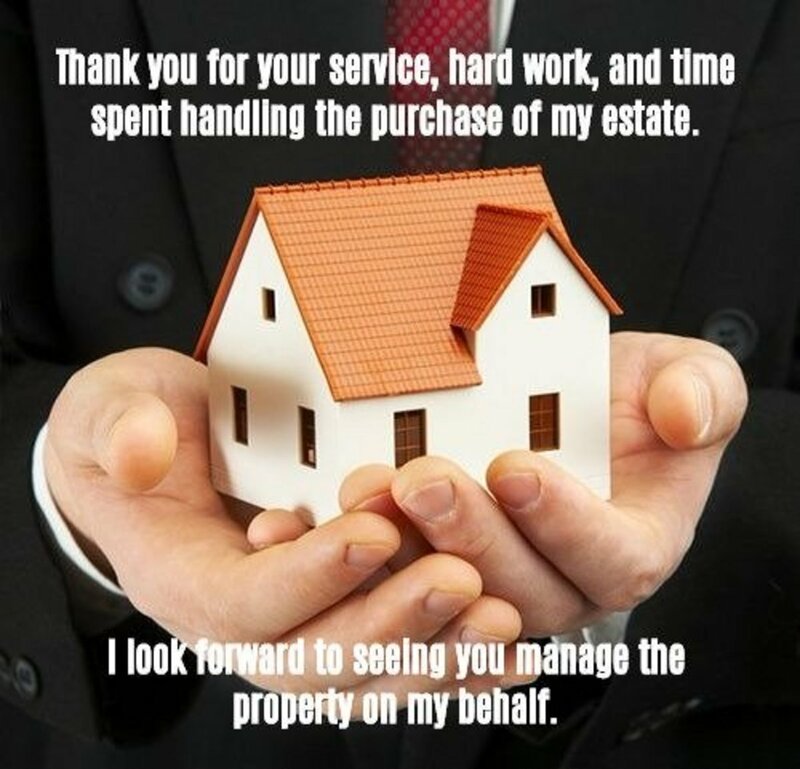 Thank you for your service, hard work, and time spent handling the purchase of my estate. I look forward to seeing you manage the property on my behalf. Many thanks for your continued support and cooperation. I greatly appreciate the work you did in reviewing my mortgage documents and explaining them to me in layman’s terms. Thank you so much for all your hard work! I would like to express my appreciation to you for taking time out of your tight schedule to explain every detail regarding my late father’s properties to me. Thank you for your service to society. Thank you for your legal advice regarding the purchase of my first home. If not for your involvement, I would not have been a homeowner by now. Once again, I appreciate all your efforts in this matter. I would not hesitate to recommend your services to anyone in need of a real estate attorney. I cannot thank you enough for all of the hard work and effort you put into my case. You did the whole documentation perfectly and in a timely manner. Thank you again for giving me your time and acting on my behalf. Thank you for helping me through this difficult trial, and for ensuring the best possible outcome on my behalf. I am so grateful to you for representing me in court, and for being a powerful advocate for me throughout these difficult times. Thank you so much for your passionate, thoughtful, and brilliant work. Your kindness and professionalism was my guiding light during this dark and trying time in my life. Thank you for everything. You gave me confidence throughout this ordeal, and your brilliant legal expertise was and continues to be invaluable to me. Thank you. Thank you for making me feel like my case was at the top of your priority list. You never treated me like a criminal, and always kept me calm and soothed my fears. I can never thank you enough for everything you've done for me. Thanks for the support, professionalism, and wonderful advice you gave me throughout this difficult time. You are such an amazing lawyer! Without all your help and incredible legal advice, I would undoubtedly have been in a much more precarious situation. Thank you so much for your support and hard work! I wanted to write to thank you for representing me during my court proceedings. Your encouragement and support were immeasurable, even when I wanted to give up on the case. Thank you for your help, determination, courage, analytical skills, and hard work. I appreciate that you didn't give up on me or my case and that you arranged mediation to resolve the matter quickly out of court. 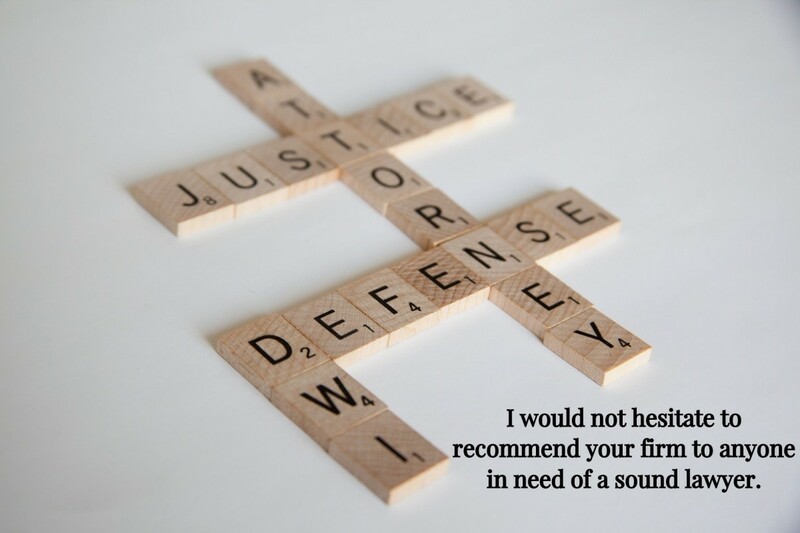 I would not hesitate to recommend your firm to anyone in need of a sound lawyer. 1. Make it special with a hand-written note. Sending a hand-written note adds a special touch to your message and can make it seem more significant and meaningful. While an email or typed letter gets the job done, there’s something distinctly eloquent about a hand-written letter or note. 2. Send the letter to your lawyer's boss, too. If your lawyer works for a firm under other attorneys, it might be a good idea to send a copy of the thank-you letter or note to their boss. You never know what it could do to improve their chances of moving up in the company. 3. Remember your lawyer during the holidays. Sending your lawyer a sweet holiday card or letter can really help to brighten their season. Many lawyers work hard through the holiday season (especially family law attorneys, due to custody disputes that flare up during the holidays), and they’ll be touched to know you are thinking of them. 4. Write your lawyer a positive Yelp or Google review. A lot of attorneys these days get a good portion of their business from online reviews. Any lawyer would greatly appreciate a glowingly positive review on their Yelp business page, or on Google. It bumps up their ratings, and potential clients can see your heartfelt message, increasing their confidence in the attorney's legal prowess. Share your thoughts or your own messages in the comments below to help us improve!